We believe we are called by God to witness to the truth of the Gospel. ● By maintaining our chapel as a centre of study in which the word of God is proclaimed and as a centre of prayer and fellowship open to all. ● By working in the community by visiting and promoting community activities thus demonstrating the love of God in Christ for all. ● By demonstrating in our daily lives that the way of Jesus is a more excellent way. ● By offering friendship and fellowship to all, including other Christians, and becoming involved in ecumenical events and projects. We give a very warm welcome to all our friends and visitors to our Sunday services and all our midweek activities. An Easter Concert with the Suffolk Constabulary Police Choir and the Spectrum Ladies Choir will be held on Sat 6 April at 7.00pm at Manningtree Methodist Church.Tickets £8. Light Refreshments. Details from 07867 546484. Fair Trade Fortnighttakes place from 25 Feb to 10 March. Thousands of individuals, companies and places of worship across the UK will come together to celebrate the people who grow our food and produce products in developing countries. Check your local shop for special promotions. 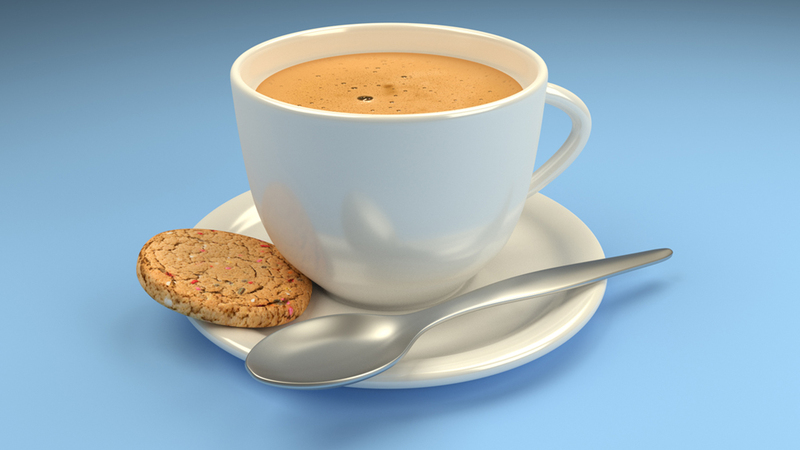 Why not visit our Coffee Morning held every Tuesday at 10.00 am.